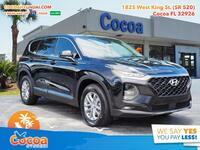 The Hyundai Santa Fe might just be the most iconic crossover on the Hyundai lineup, but there are plenty of legendary crossovers out there in the midsize segment, like the Ford Explorer for instance. 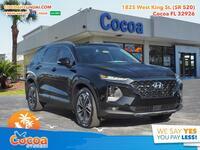 We thought we’d see how our favorite midsize crossover holds up to one of its fiercest segment rivals, by pitting the 2018 Hyundai Santa Fe vs 2018 Ford Explorer. 14.4 cu. ft. Cargo Capacity 13.2 cu. ft.
There’s no doubt that this one was a tight race, as you can tell with one glance at the table up above. 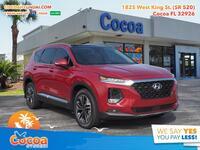 These two midsize crossovers are extremely comparable to one another, but the Santa Fe manages to squeak out a couple of advantages, starting in the first row. 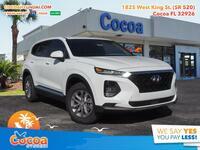 In said row, we started by looking at combined fuel efficiency, without a doubt one of the most important specifications to consider in any vehicle segment, and the Santa Fe manages to get an extra mile per gallon. That’s not a huge difference, but there’s no denying that you’d be saving some pocket change in the long run. 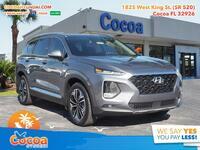 The second row looks at power, in which the two vehicles are identical at 290 horsepower, despite the Santa Fe’s fuel economy advantage. 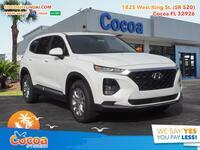 However, that power advantage is diminished a bit when you consider the fact that the Santa Fe weighs a whopping 427 pounds less than the Explorer. The lighter a vehicle is, the less power it needs to do the same stuff as a heavier vehicle. 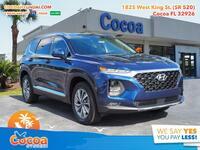 So in reality, the Santa Fe can perform a bit better than the Ford Explorer. The final row just highlights once again how similar these two vehicles are, as they both offering seating for up to 7 passengers. 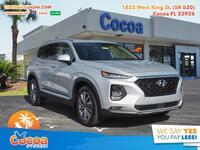 If you think you might be interested in a 2018 Hyundai Santa Fe, don’t hesitate to get in touch with us right here at Cocoa Hyundai!